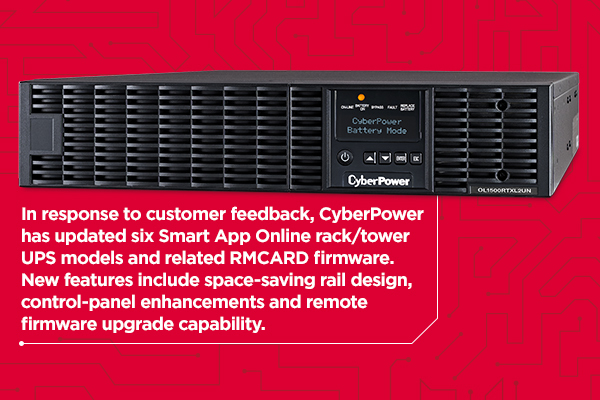 Shakopee, Minn. – January 30, 2018 – Cyber Power Systems (USA), Inc., a leader in power protection and management products, has upgraded several of its enterprise-level Smart App Online rack/tower UPS models that feature double-conversion technology and related remote management card (RMCARD) firmware. 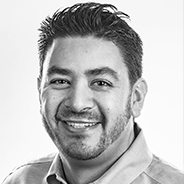 The product enhancements bring IT managers, infrastructure managers and system administrators greater convenience and flexibility when managing their mission-critical systems and equipment either locally or remotely. Reduced audible noise from variable four-speed fans, replacing dual-speed fans. View and change IP address via the UPS LCD control panel: convenient local access to configuration settings allow on-site staff to confirm or change the IP address, without needing to access the network, following equipment installations or change-outs. Record output cumulative energy in watt-hours via LCD control panel to track energy consumed from every device connected to the UPS. Space-saving hanging rail design simplifies and speeds up UPS installation. *The upgrades apply to the following CyberPower remote management cards: RMCARD205; RMCARD305; RMCARD205TAA; and RMCARD305TAA. RMCARD requires firmware release v.1.10 or above and CyberPower Smart App Online series UPS firmware version of Sv3A00 or above. CyberPower designs and manufactures uninterruptible power supply systems, power distribution units, surge protectors, remote management hardware, power management software, mobile chargers and connectivity products. The company serves customers in enterprise, corporate, government, education, healthcare and small office/home office environments. CyberPower products are available through authorized distributors and sold by value-added resellers, system integrators, managed service providers, select retailers and online resellers. For more information, visit: : https://www.cyberpowersystems.com/.